"..Companies that trust Berde for their building projects include: Maynilad Water Services, Mañosa Properties, Arthaland Corp., First Balfour, HT Land Corp., Ayala Land Inc., Filinvest Land Inc., Laguna Lake Development Authority, The Net Group, De La Salle ..."
"..De La Salle University, Monocrete Construction Philippines, Aseana Holdings, Keyland Corp., Filinvest Alabang Inc., Cebu Land Masters, Prescon and RSP Lim Construction Co. 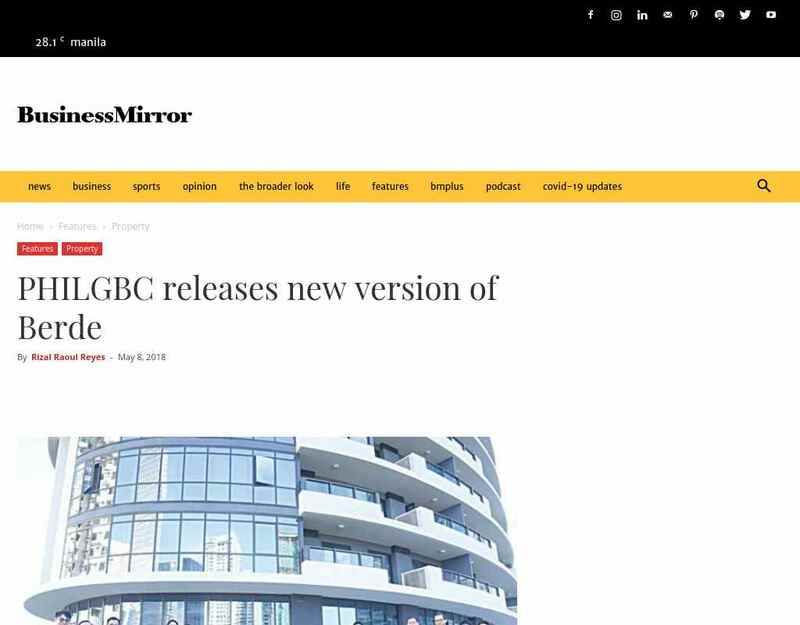 The first projects to register under Berde version 2.0.0 are the Latitude Corporate ..."
"..de la Cruz said the PHILGBC used a simplified language and clearer requirements. "With the adoption of plain English in the development of Berde, version 2.0.0 features clearer requirements, and simplified documentation for compliance with the different ..."
"..officially released this month the new version for its Building for Ecologically Responsive Design Excellence (Berde) rating system, hoping it will lead to the development and certification of more green building projects in the Philippines."